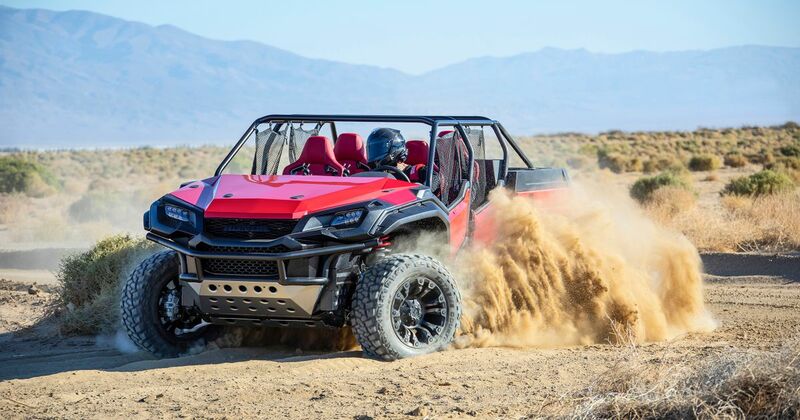 Honda has answered a question we don’;t recall anyone ever asking: what would happen if you made a rugged, open-air ATV out of a pickup? 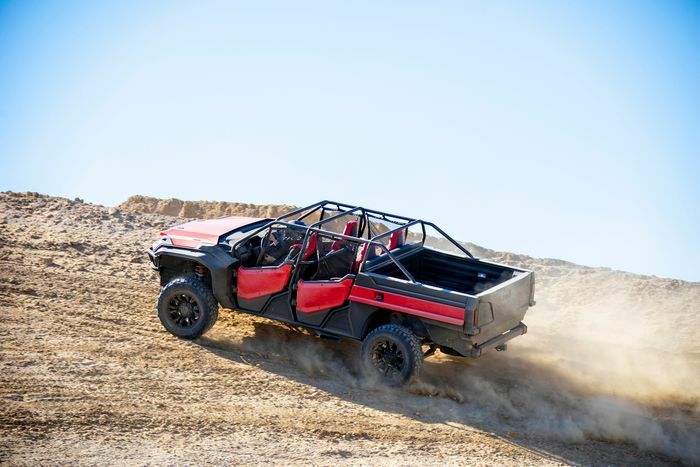 The Japanese firm’s North American arm has stripped-bare one of its Ridgeline pickups, upgraded the suspension and added a package of protective plates to create a bizarrely awesome full-size side-by-side ‘buggy.’ It’s called the Rugged Open Air Vehicle concept. 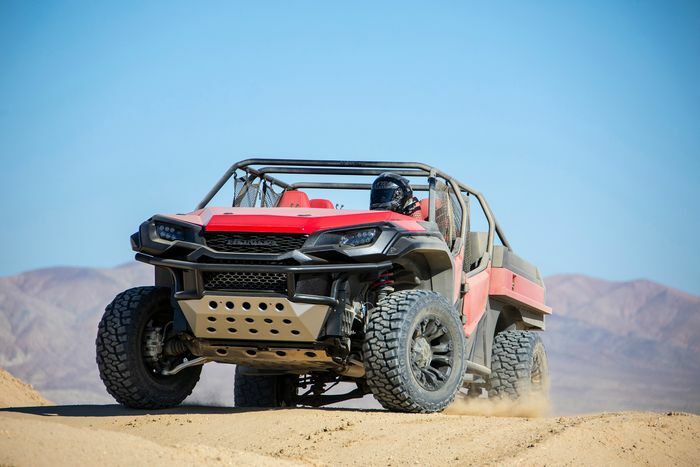 Its doors come straight from the Pioneer 1000 side-by-side ATV, with a custom-designed load bed and tailgate made to look like the Pioneer’s. 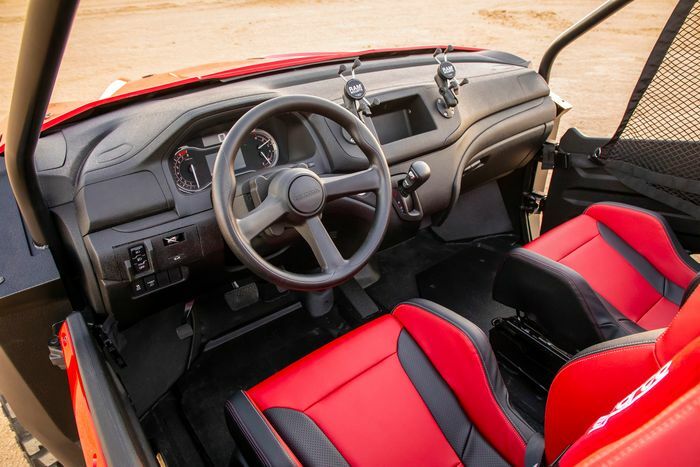 It uses a Pioneer steering wheel grafted onto the Ridgeline’s steering column. The seats are trimmed in a waterproof material used on the ATV. The seats themselves, though, are Civic Type R items. Racy. There are aftermarket smartphone holders, because of course there are, and durable ‘paint-on surfaces’ to protect the exposed interior from the elements. You’ll notice more ATV-style off-road tyres, the huge bash plates underneath and the quad bike-like face. A new tubular frame acts as roll-over protection and replaces the lost stiffness of the usual roof. We don’t care how good it is or isn’t off-road. We want one, and we want one badly. Unfortunately it’s just a concept and isn’t for sale. There are no plans to put it into production.